​​Lake St. Clair - June 17th, Harley Ensign DNR Ramp. This will be our only Sunday tournament for the east so everyone has the potential to prefish on Saturday and make a weekend of it. Canada is CLOSED, and Ohio is off limits. You will be fishing Michigan waters only, that means if you can get there by boat, in Michigan without leaving the water its open. Lake Wawasee - August 18th, Syracuse DNR Ramp. Registration will be at the ramp and parking will be at the High School. Cost to participate is $70. Of that, $10 is paid back to the two big bass awards, 80% and 20% respectively. Of the remaining $60, 90% is paid back that day while the remaining 10% is placed into the Classic Pot. The growth of that pot can be followed on the Payback Page. A regular season tournament pays back 1 spot for every 5 teams with a maximum of 10. Registration will not begin more than 90 minutes before takeoff. Teams are free to arrive beforehand and launch. ​​At least one member must be present for the pre-tournament meeting held approximately 20 minutes before take-off. Participants are expected to know and adhere to all Rules. No rule is more important to the R & B Bass Circuit than #9: Safety, good sportsmanship, and courtesy will be expected and enforced. Failure to comply may result in disqualification. This will also be enforced during Registration and the Weigh-in. Please be conscientious of language during these times. Frequently, neighboring children attend and look at us in awe. Have a positive influence. ​Boat order will be determined by random draw for first 40 entrants, after which, teams will be numbered by order of registration. Any team who registers during or after the pre-tournament meeting will not draw for a number. They will be deemed the call boat. Be sure to make yourself eligible for Bonus Money & Awards. Winners are responsible for becoming eligible and collecting. View the Bonus Money & Prizes page for details. 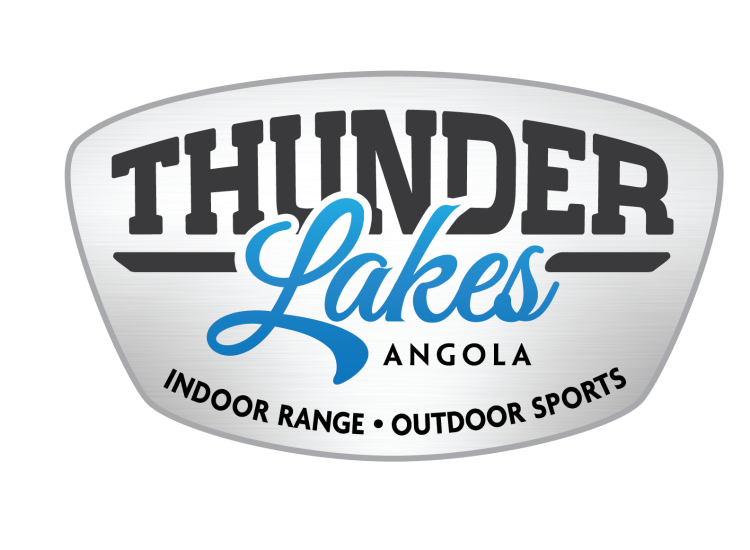 ​​​Lake James - May 19th, Pre Tournament Registration - Registration will be held at / Inside Thunder Lakes Indoor Shooting - Outdoor Sports. The address is 2160 W 175 N Angola, Indiana. This across the street from Dry Dock Marine. From Hwy 69 Take Exit 350 Head North on Co Rd 200W. Turn West on 175 N toward Dry Dock Marine, Thunder Lakes will be on the right. Once Registered, you can proceed to The Corner Landing and launch. We would ask that if you drive past the ramp and turn around in the large parking lot behind Tom's Donuts so you do not congest the intersection at the 4 way stop. There is a Ramp Fee and then park in the upper lot across the street behind Tom's Donuts. Regardless of where you launch, or if you live on the lake, EVERYONE pays for the use of the facility at launch and weigh in. Meeting will be held at the ramp, you may be on the water in the area of the Ramp within earshot. 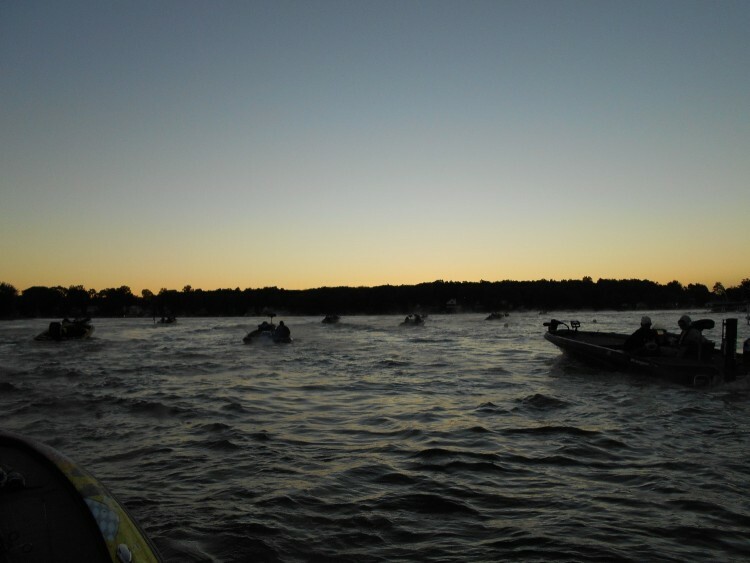 The meeting will start at 6:10 Post meeting we will proceed toward Lake James and start outside the bouy line. At the end of the day, Weigh in will take place at the Corner Landing. ​​The USCG will be present to do Vessel Safety Checks. Inspectors will be on hand and working the upper lot during and after weigh in. Consider have your boat inspected, takes (10 - 20 minutes) prior to your trip to St. Clair. Things that speed up inspection is to have you Life Vests and Throw-able out, Bow and Anchor Lights up, Fire Extinguisher Accessible and Registration out. If you are not familiar with a Vessel Safety Check, you can go through the process on line here to make sure your ready. Click Here for the USCG Virtual-Safety-Check. ​Important Notes from USCG. When I talked to them about coming out they did want to make everyone aware that Indiana has been lax on boat number spacing in the past and they are now enforcing proper Number Spacing. Your numbers should be spaced out: IN 1234 LT not all in a row like this IN1234LT. Might not happen locally but you can be ticketed for improperly displayed numbers I was informed. T​​here are MANY Fire Extinguishers that have an on going recall. Check the Kiddie Website to see if yours is. They are possibly offering a free replacement I think they said. Click here for the document outlining the recall. ​​There are no tickets with the inspection but you wont receive a USCG sticker for 2018 if you numbers are not spaced, lights don't work or your extinguisher is under recall.